The launch of Call of Duty: Black Ops 3 is one of the biggest this year (as it usually happens with any game in the Call of Duty franchise), but it seems that this particular release is a lot more buggy than previous ones as tons of gamers are complaining because of various problems: in many cases, CoD Black Ops 3 crashes, freezes and gamers get a black screen when trying to start the game. Frame rate issues are also a big complaint that gamers (especially PC gamers) have, but we are here to try to get you out of the mess – at least until the developers roll out a patch for the game – and share with you some advice on how to fix Call of Duty Black Ops 3 crashes, black screen problems, frame rate issues, freezes and other problems that we’ve stumbled upon. We’ll have to start with the “generic” check-ups in case you’re running the game on a desktop computer and you’re having any kind of problems with it: first off, make sure that your system meets the minimum requirements to run the game, that your drivers are up to date and that you check the game’s integrity to make sure it installed correctly. If all these are met and you still have problems, we should go more in depth with everything. Treyarch themselves recommended gamers – especially Windows 10 owners – to alter the config.ini file of the game in order to quick fix it. So all you have to do is to find the file, which is located in the players folder of your game installation directory, open it with Notepad and then change the WorkerThreads = 4 to WorkerThreads = 2. You should try this even if you don’t run Windows 10! Many players are complaining that they get a black screen after the logo and intro video of the game. If that’s the case, just wait a bit longer as the game is downloading some data and this might be the reason for it. Try to Alt+Tab, then Alt+Tab again to get out from the game and back into it to see if this fixes your problem (after waiting for a couple of minutes). Changing the WorkerThreads = 4 to WorkerThreads = 2 only, as recommended in the crashes fix above, can also fix your Black Screen problems. If that does not work, then you will have to edit the config.ini file again and change the resolution of the game. If you don’t want to mess up with all those numbers and files, you can simply copy and paste the settings shared on Steam. These settings have managed to solve the black screen problems for all the gamers who tried them. – Set Mouse Polling Resolution to 250Hz or less. Many people have complained of getting this error when trying to switch weapons in the game. We’ll have to wait for a patch from Treyarch which will surely solve it! Change your sound settings from 5.1 to stereo – simply plug out and back in your headphones / speakers and set them to go on Stereo. If the game crashes when you launch it or soon after launch, it might be a problem related to any video recording software you might have running in the background. Quit them and restart. If that doesn’t fix it, try disabling try disabling Steam Overlay. Finally, in order to improve the performance of the game and avoid the game’s freezing and low FPS issues, you should try to lower its visual settings. Lower the graphics as much as possible, then work your way up until problems start getting back to you. The game is extremely resource hungry! 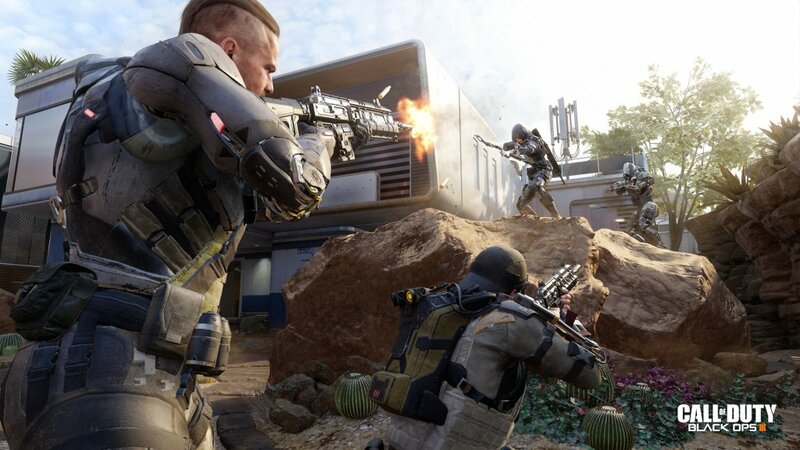 Are you having problems running Call of Duty: Black Ops 3. Did our solutions for the crashes, freezes and black screen problems helped you? Let us know by commenting below and share any other fix you might have found to help fellow gamers enjoy the game.